IPMI’s annual Awards and Recognition programs celebrate individuals and organizations in the parking, transportation, and mobility industry. 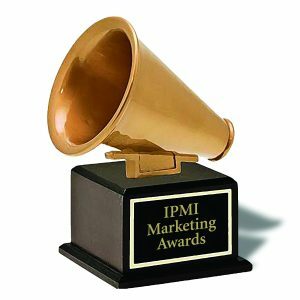 Winners in three major award categories – Awards of Excellence, Professional Recognition Program, and Marketing – exemplify industry excellence. The 2019 awards competitions are now closed. 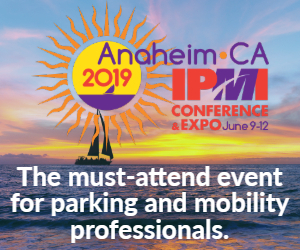 Be sure to join us in honoring our award winners at the 2019 IPMI Conference & Expo, June 9-12 in Anaheim, Calif. The awards submission process will open again September 12, 2019. Showcasing outstanding parking and transportation facilities and innovative programs in a number of categories, the Awards of Excellence require a formal entry submission and judging process. Many winning projects receive state, regional, national, and international media coverage. Entrants for these prestigious awards can be self- or peer-nominated. Awards include the James M. Hunnicutt, CAPP, Parking Professional of the Year, Organization of the Year, Supervisor of the Year, Staff Person of the Year, and Emerging Leader of the Year. These awards recognize outstanding marketing, public relations, and communications programs with the parking and mobility sector.